Walt Disney Imagineering is famous for their project documentation. The archives are full of great concept art, construction photos, and documentation from most of the major builds over the last 50+ years. But my favorite of these has to be the time-lapse video. 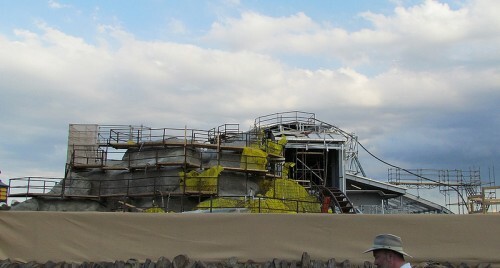 Interesting how construction on the coaster itself didn’t actually start until about half-way through the video. Below the jump, I have an interview with Bruce Vaughn, executive vice president at Walt Disney Imagineering, and Tom Staggs, chairman of Walt Disney Parks and Resorts, as they talk about how Seven Dwarfs Mine Train fits into New Fantasyland and how excited the Imagineers are to finally have it open to the public on May 28th.